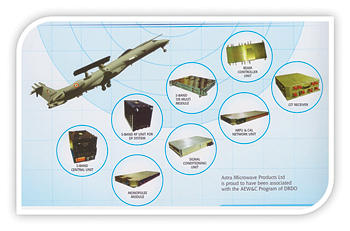 Astra Microwave Products Pvt Ltd (AMPL), a public listed company based at Hyderabad, has been spearheading design, development and manufacturing of RF and microwave components, super components, systems and related technologies to space and defence sectors. Over the years, AMPL has risen to the need of the hour with unflagging enthusiasm and a capacity to rapidly turnaround new technological breakthroughs using their strong and committed in-house R&D team. 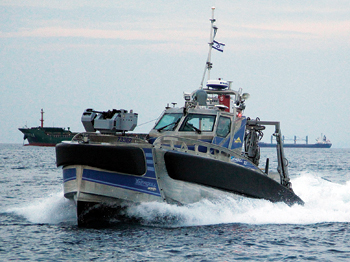 This has in turn enhanced the capability to deal with a growing market with ever changing technological requirements. One of the major contributions to the state-of-the-art active phased array radar systems has been the development and automated mass manufacturing of antenna arrays, transmit-receive modules, exciters-receivers, etc. Sensing the need for a fabless Semiconductor Design Centre capable of designing monolithic microwave integrated circuits (MMIC), AMPL has established a comprehensive design team along with test facilities and has been able to turnout many MMIC components indigenously. Recently the company has spun off their MMIC division into Aelius Semiconductors Pvt Ltd operating from Singapore. Astra Microwave was also one of the first beneficiaries of the offset programme having won the very first offset contract in India. Since then they have been working consistently with foreign OEMs on offset programmes and have delivered high-end modules in high quantity meeting the quality and delivery benchmarks. This combined with their strong presence in the Indian market makes the company ideally poised to go on further and become a strong player in the ‘Buy and Make (Indian)’ category of defence procurements. AMPL has posed itself as the manufacturing partner for foreign OEMs looking to make their products in India and supplying to the swiftly increasing demands of defence forces in India for modern equipments. With offsets taking a backseat in the policy domain of the Government of India and the present government pushing for ‘Make in India’, many of the future defence procurements are expected to move in this direction. The Hyderabad-based firm is therefore well placed in positioning itself as a partner for manufacturing strategic electronics for major foreign OEMs that are eyeing the high capital spending of the Indian armed forces. Moving on in this direction, AMPL has formed joint venture companies with Rafael, Advanced Defence Systems Ltd., Israel, for communication products – Astra Rafael Comsys Pvt Ltd (ARC), and with Unique Broadband Systems, Canada for high power transmitters, satellite communication products and products for broadcasting application – Astra UBS Technologies Pvt Ltd.
AMPL has expanded its operations to Bengaluru and has also set up office in Delhi to work on the futuristic requirements of the Indian Ministry of Defence, eyeing opportunities to produce smaller defence systems in collaboration with foreign equipment manufacturers. The company has invested heavily into infrastructure and has been supporting the Defence Research and Development Organisation, Indian Space Research Organisation and the defence public sector units for strategic electronics that form part of radar systems, electronic warfare systems, telemetry systems and satellite systems. Having worked in various programmes of Indian defence, supplying strategic electronics in the form of subsystems and components, the company is already working in the high technology domain. The company believes that with their technological ability on the subsystem level combined with the expertise of foreign OEMs, they can support the requirements of the Indian armed forces under the ‘Make in India’ programme. It is only logical then that Astra Microwave poses themselves as an ideal partner to foreign OEMs for ‘making their products in India’.